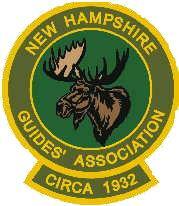 One of the best places to fly fish in New England is the Great North Woods of New Hampshire. We have traveled all over the US and parts of Canada on fly fishing expeditions to some great fishing lodges. We have fished the rivers of Montana; the great mayfly hatches in the Catskills and Adirondacks; and the richness of the tailwaters and limestone spring creeks of the Ozarks. The Androscoggin River stands up well in comparison. It is relatively accessible (no bush-plane flights required!) but remote enough that some planning is required. Your stay with us on the Androscoggin River in northern NH will rival that of any sport fishing camp or fishing lodge in the northeast. Our clients tell us this is the best fly fishing in New Hampshire. See pictures of the lodge. There are miles and miles of river without a building in sight. Wildlife abounds. It is not unusual to see deer, bear, fox or coyotes. Moose are so numerous as to warrant particular caution at any time of day. Eagles, osprey, herons and other birds, large and small, are a constant reminder of the wildness of the Great North Woods of New Hampshire. We have put together an all-inclusive "Special Fly Fishing Vacation Package" that unlocks the secrets of the Great North Woods for you and a few friends in our fishing lodge in Errol, NH on the Androscoggin River. Your trip will begin when you arrive in the afternoon in time for dinner. In June it stays light until 9PM, we will fish a couple hours after dinner. The next morning we will eat an early, hearty breakfast and head out to fish the river. Whether in the drift boat or wading, we will target the best spots on the river. We will fish until about noon, have lunch on the river, fish the afternoon and afterward head back to the lodge and the conclusion of your trip. Each day you will have half-day on the drift boat and half-day wading the river or paddling on a pristine trout pond. In September it gets dark early, so no evening fishing. We are offering the complete Androscoggin River fly fishing All-inclusive vacation package at a Special price! Since we provide personal service, we can only accommodate 4 guided clients at a time, but have lodging rooms available if you want to stay an extra night or two and fish on your own. Or bring your spouse or non-fishing friend for only $90/night including lodging and meals. Also, contact us if you have a larger group. We love to teach beginners, but also offer a quality fly fishing experience to anglers at all levels. Fishing the Alder Fly hatch and the hexagenia hatch is a dry fly fishing treat for any angler. Many clients that take the Special Package trip have never fly fished before. All of them catch fish, so this is also a great way for "Total immersion fly fishing lessons." It could be the best beginner fly fishing vacation anywhere. In September the river cools down and the fishing heats up! In September, the most beautiful time of the year, the fish are hungry! Fishing and foliage - what a combination!! Your morning fishing will either be from the driftboat; wading the hot spots on the river; or casting dry flies to rising brook trout on a remote pond. If you were on the boat in the morning, your afternoon will either be spent wading the river, a small trout stream or on a remote trout pond casting to the ring of the rise. Book now to reserve your preferred dates! Your trip starts before dinner on your arrival date and finishes after your fishing the following day, unless you arrange to stay over an extra night ($90 extra) . Call or drop us an email to reserve a spot or get more information. If you can't make it during our Special Package dates, you can still book a driftboat or wading trip on the Connecticut River, Upper Androscoggin (13-Mile Woods section) or Lower Androscoggin (Trophy section to the Maine border.) Call or drop us an email to reserve a spot or get more information. Note: We don't charge for flies, or loan of any other gear. We provide quality rods, waders, boots, etc. If you are traveling by air, leave your gear at home and use ours! In September the foliage display is nothing short of spectacular. Click on the photo below for a spectacular panoramic view. Following are dates for our September trip. Fish and Foliage- what a beautiful combination! It isn't too early to plan an early Fall get-away!